Air penetrating through the attic to the interior parts of the house can cause many problems, including higher energy usage and as a result, higher expenditures. An unsealed attic can allow hot or cold air into your home, depending on the season, which may lead to health issues and implications to your family besides the other issues presented above. 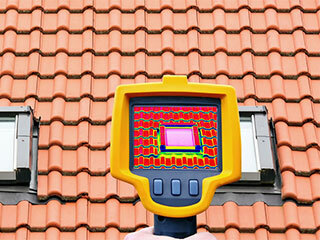 There are several reasons why you should call for attic air sealing services. Here are three of the main ones. Can you hear this sound? It is the wind, whistling through the holes in the attic and bringing cold air from the outside into what should be warm and cozy rooms inside. Not only does the cold air come in, but hot air from the air conditioning system, that's supposed to keep your home warm and comfortable, can freely escape, leaving you with a useless air conditioning system that tries to work but nonetheless remains helplessly ineffective, meaning you're losing control over the temperature at your home, which will also lead to higher electricity bills. Depending on where you live, the streets are filling up with cars and other motored vehicles, and with manufacturing plants and factories that pollute the air itself with smog and smoke, and sometimes even poisonous gasses. This means that not only cold or hot air comes into your home, but also poor quality air – so now you're unable to cool your house or heat it up, AND the house is getting increasingly unhealthy to stay at. Your family’s health is probably the most important thing for you. When you hear your children start to cough, and there's no reason to be found, before you give them some syrup for a sore throat, you might want to make sure that the problem is not the fault of your attic. If the ceiling is not sealed, the air coming in might be too cold and too dusty, causing your children difficulty to breathe. Don’t wait any longer! As soon as you start suspecting that something is wrong with the air or your attic's insulation, give us a call. The intactness of your home's attic's insulation can affect so many aspects in your daily life – make sure it is in the best shape possible!